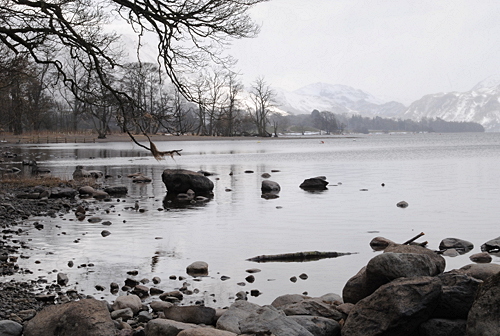 The majority of visitors to the Lake District see it in its Summer clothing. In Winter it takes on a different kind of splendour. The view below, from Watermillock across the lake to Howtown and Martindale, has quite a different character. 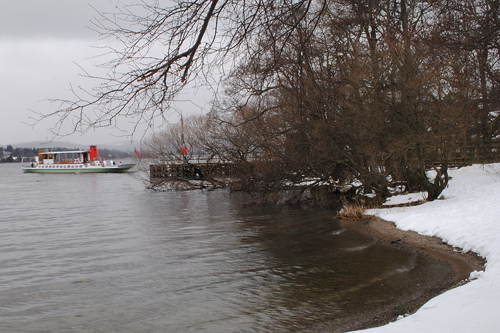 The same can be said of the following January view of the pier from which the Ullswater 'Steamers' leave Pooley Bridge. If you're a sun lover you might not be impressed, but for those of us who enjoy the challenge of cold, wind and snow (within reason!) these kinds of view are special. 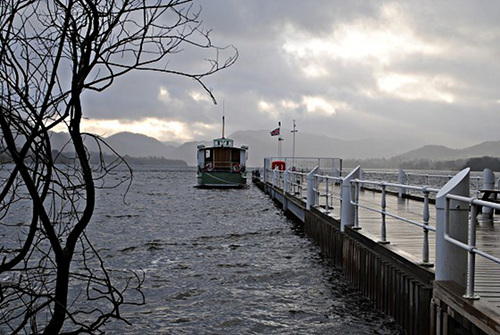 Yes, the Lake District can be marvellous at all times of year. 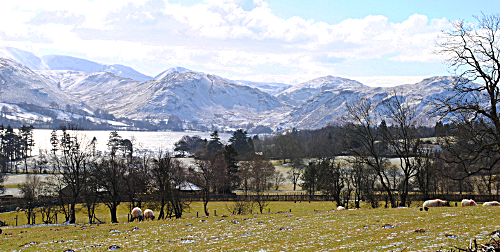 This next photograph was also taken close to Pooley Bridge, on a walk past Eusemere, down by the water's edge on a cold March day and with more snow in the air. Now at Howtown, we see that the Ullswater 'Steamers' still "steam" even on a freezing afternoon with more snow threatening at any moment.